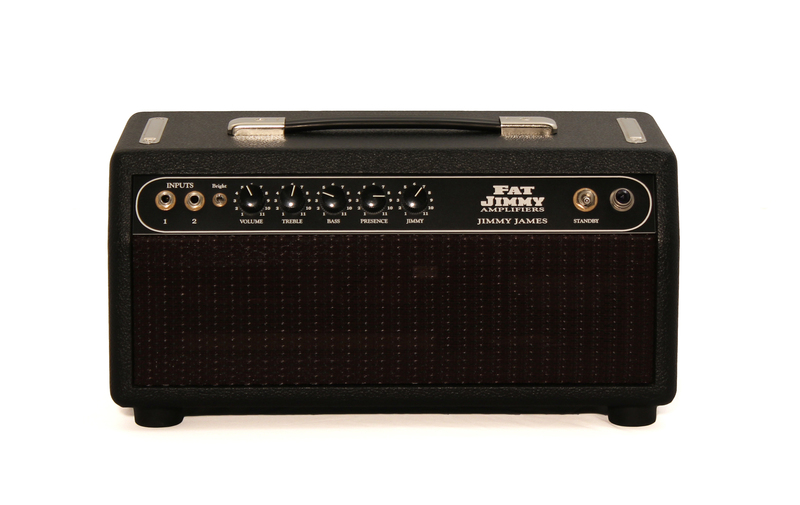 The Fat Jimmy ‘Jimmy James’ is quickly becoming one of our most popular guitar amplifiers. Following in the footsteps of the Avionic, the Jimmy James is housed in the same compact package, also weighing in at 18lbs! While the Avionic is designed to appease the blackface player, the Jimmy James draws heavily from the classic ‘Brownface’ Fender circuits. 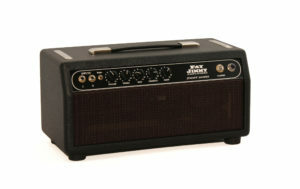 But as is the case with all Fat Jimmy Amplifiers (unless specified as with the 5E3), this is no clone or copy! After having the opportunity to service dozens and dozens and dozens of real Brownface Fenders, I discovered just which parts of the brown circuits I prefer in certain places. The brown circuits are a testament to true evolution – and the ‘missing link’ between the tweed and blackface Fender circuits. The Brownface amps were constantly changing, and it’s common that you can have three different amps of the same model and circuit designation, but with three different circuits! I took my favorite Brownface circuits, mixed in my own Fat Jimmy flavors and tweaks, and the result is the Fat Jimmy ‘Jimmy James’. 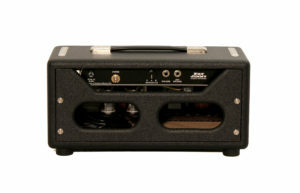 This amplifier has the uncanny ability to truly showcase and highlight the unique characteristics of whatever instrument you plug into it. You want to hear what makes a Strat sound like Strat? A Tele like a Tele? A Les Paul like a Les Paul? Plug into a Jimmy James!! The Jimmy James pairs perfectly with our ultra lightweight 1×12 extension cab loaded with our own custom Fat Jimmy Vintage Series C1270 speaker. Head cab dims: 17.7″ wide x 8″ tall x 8.5″ deep, 18 lbs.